I grew up baking with Fleischmann's Yeast, so I was thrilled when Frank found this tiny pamphlet in his mother's papers. 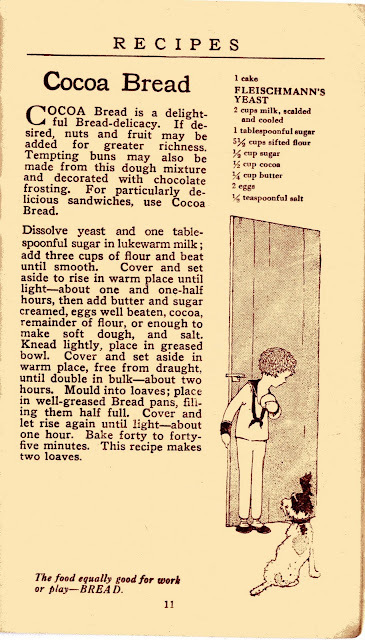 His mother may not have been a good cook, but she was a terrific baker. 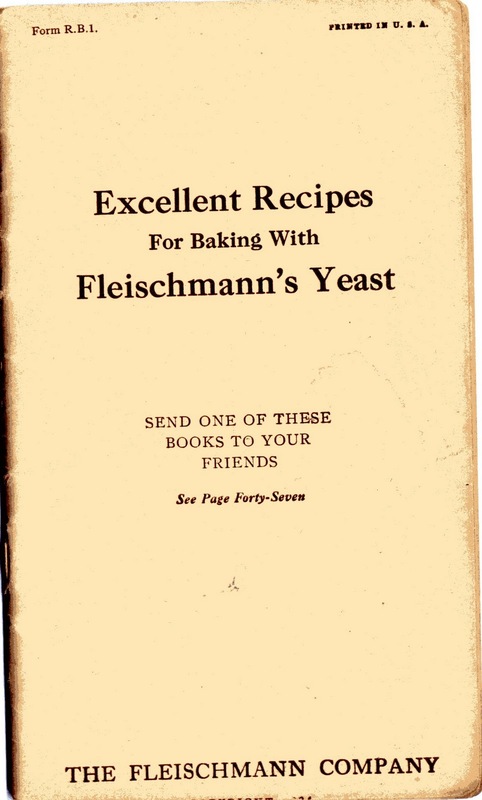 I love Vintage recipes and pamphlets. On this one, you could write and have a copy of the pamphlet sent to friends. This is pre-zipcode. I think the illustrations are adorable, too. Who doesn't love Cocoa Bread! This little book was actually printed askew with the city of publication cut off.. When I say little, the book is 3 1/2 x 6 1/2. That is adorable. The bread looks fab, too! "No fair," she cried, "I don't have that book!!! I would think 350, also, although the recipe doesn't say.. isn't that odd.